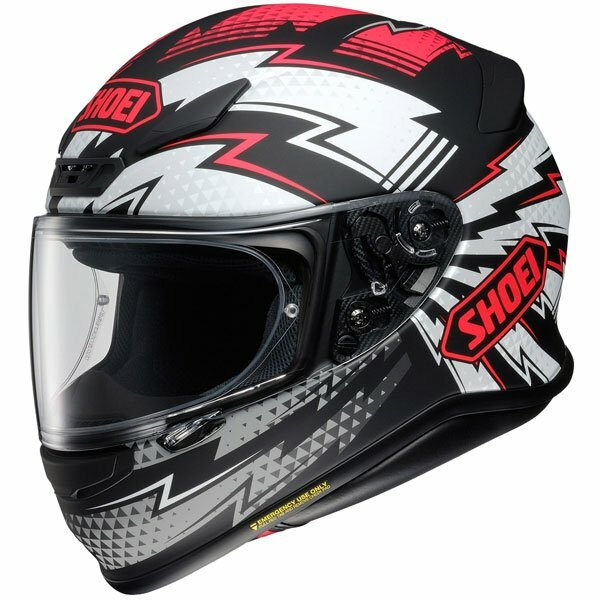 I've been a shoei fan for quite some time now, my previous helmet to the NXR was the GT-Air. My concerns with the going to the NXR from the GT-Air were mainly wind noise levels and comfort, as these were things on the GT-Air that i already held in high regard. Both of these concerns were promptly put to rest after about a 25 min stint down my local motorway. Thoroughly impressed with the amount of air flow through the top of the helmet (this will be appreciated more in the summer i am sure!) and through the mouth vent. I wear glasses and for years i have had to rely on anti fog spray to keep them from misting up. Not anymore! The chin curtain does an excellent job of cutting down any noise/turbulence that gets thrown up from the front wheel too. Quiet and Comfortable - Superb! Either I have a Shoei shaped head, or Shoei makes excellent helmets. Changed to a sports bike from a tourer and the NeoTec - still an excellent helmet - was too noisy. The NXR is just as comfortable but a lot quieter. Great ventilation and good vision. Vents and pinlock ensure no fogging. Installing a Sena SMH-5 was easy, and Shoei range of interchangeable padding ensures the fit is perfect. S.B.S price matched this helmet for me so straight off the bat I was pleased. When the helmet arrived it was every bit the quality item I'd hoped it would be, and the inclusion of a pin lock in the box was the cherry on top of an already delicious cake. Fantastic service, fantastic product. Most amazing helmet I've owned, well worth the money. Also sportsbikeshop are always a 5 star rating, customer service amazing. Great fit and graphics, feels comfortable. 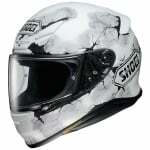 In Poland I cant get this helmet and only here price was the best EVER!!! I recommend this helmet and this shop!! Greetings from Poland!! Great fit and graphics, excellent build quality and very light - superb lid. Excellent value and service - what more could you want! After looking at other helmets and reading reviews, I decided that this was the helmet for me, and I'm glad I did, the helmet is a perfect fit, very comfortable and not heavy. Quick delivery! Next day with no extra cost. The helmet is my second shoei NXR after a crash at around 80mph. Would not change from shoei EVER! Nxr comfortable and one of the lightest shoei offer. This is the best helmet I have had the quality speaks for itself when you first try it on. Excellent service by SBS. What is you head worth ? 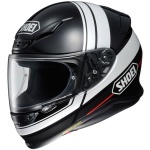 As always, a great quality, sturdy and comfy helmet from Shoei. I opted for the Tale TC5 print and don't regret it. The helmet is small and quiet. No complaints from me. This is my first full face, I have had flip front in the past. Good: Very light. Great visibility. Pin Lock. Its a Shoei. Bad: Bit tight to get on and off but nice fit when its on (I do have biggish ears so that does not help) Do not like that the chin part does not travel lower (this is hangover from flip front I guess Other than that, all good, very happy with purchase. Comfortable, with nice fit, very well noise insulated, and with a sufficient air ventilation system even with low velocities... and very elegant! I have a 56 size head and the small fits great but the cheek pads are very tight. I thought they would break in but haven't. After a bit of research it seems I'm not the only one. The helmet runs very tight along the jaw and comes with 35mm cheek pads. Good thing is you can get 31mm cheek pads bad thing is they are £58.99. I ordered them along with a Shoei Mcguiness beenie. Sportbikeshop have sent this out royal mail second class and at this moment 5 days later still haven't received them so not very happy. Looks good, feels comfortable. Not cheap but worth every penny. Tried others but has to be Shoei every time. Quality helmet. Really quiet when traveling. 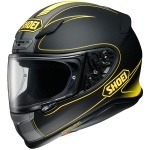 First Shoei I've brought and I wish I had one a long time ago.